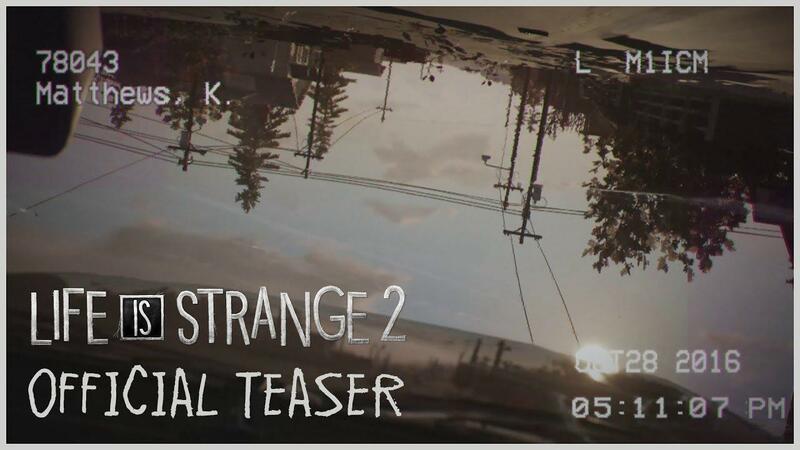 While platforms have yet to be confirmed, it's probably safe to say Feral Interactive will likely be porting Life Is Strange 2 to Linux. We already have the original and Feral Interactive are currently porting Life is Strange: Before the Storm to Linux, although it's suffering from a delay. Given the date in the teaser, it seems this could be taking place three years after the original, so who knows how things have changed. It appears Max isn't the only one with some kind of super power, as shortly after the officer asks for backup we see what looks like a display of supernatural force blasting from the right, sending the officer and the car rolling. Exciting! Can't wait to see more when they reveal it properly on August 20th. Episode 1 of Life is Strange 2 will release on September 27th 2018, so it's likely quite a while before we know about Linux support since it's usually talked about much later. I would say a Linux version is more likely when all the episodes are out, however it would be great to see support much earlier this time as spoilers are hard to ignore for such games when they're released. Would be more than Amazing of Feral would do a timely port! Intriguing. I would much rather have the game all in one go though, keep the episodic structure internally but release it all at once. lucifertdark Intriguing. I would much rather have the game all in one go though, keep the episodic structure internally but release it all at once. Yes, in that case a delayed release for linux actually works as an advantage (as long as it´s not too delayed), I too find gameplay in episodes with months in between, to be a really crappy way to enjoy a computergame. Wasn't hard at all. I just managed to find the time (or rather: liked to do just that instead of something else) to play "Life is Strange". I had no idea what I was letting myself in for. Oh boy. I'm looking forward to "Life is Strange 2" anyway; will buy as it comes available for Linux (and ideally all episodes at once). I hope that the delay of LIS: Before the storm is due to the addition of a VULKAN support. Comandante Ñoñardo I hope that the delay of LIS: Before the storm is due to the addition of a VULKAN support. I'm thinking it's probably Unity bugs, but could also be Vulkan I guess. Unless Feral ports a very old game ( 10+ years old ) with possible DX9 usage at Windows version , all ports on Mac and Linux will be Metal / Vulkan. Sure , if they port original Rome Total War ( for example ) no one would ask for Vulkan since that would be pointless and shrink user base to only Vulkan capable gpu users. Leopard Sure , if they port original Rome Total War ( for example ) no one would ask for Vulkan since that would be pointless and shrink user base to only Vulkan capable gpu users. I wouldn't complain, but Vulkan would have to be optional so those of us who can take advantage of it can & those that can't can still play it.